I really enjoy doing crafts. However, in the past few years I’ve found that the more my food blog grows, the less time I have for crafts. I’m not particularly good at drawing or painting, but I’m really good at putting things together. 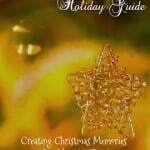 I enjoy scrapbooking, cardmaking, creating wreaths, and doing other crafts. 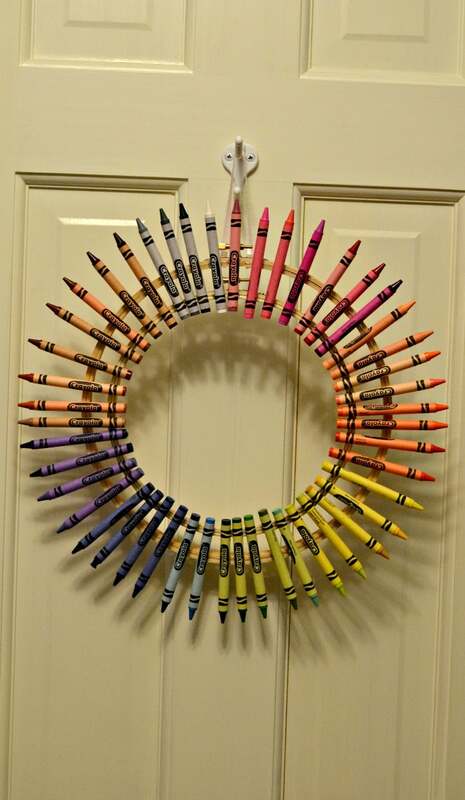 During extended school year (a summer program for special education students) I saw a crayon wreath in a fellow teachers classroom. I fell in love instantly. 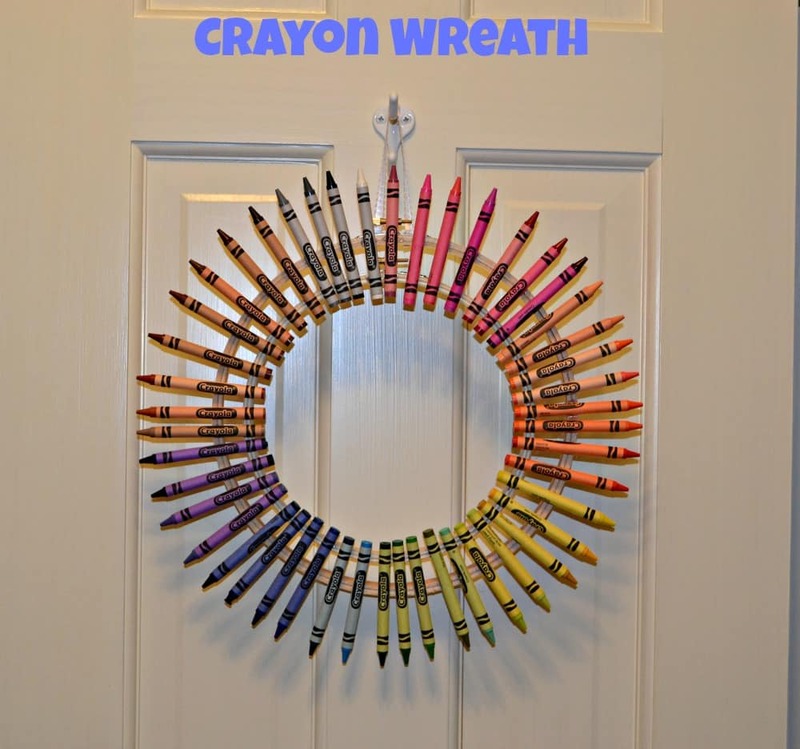 Since I love order and organization, the fact that 64 crayons were arranged in color order had me bursting at the seems to get making one of these wreaths. The very next day I went to the store and got what I needed. I think that the actual wreath being cross stitch hoops is a great idea. I bought 2 different sized hoops, more hot glue for my glue gun, and some pretty ribbon for hanging the wreath. When I realized I only needed 1 piece from each hoop I decided to make a second wreath for my instructional assistant while I was making my own. Next stop was to get 2 packs of 64 crayons. Once I got home I dumped the crayons on the floor and arranged them in color order going from lightest to darkest in rainbow order. Feel free to arrange the crayons however you like since it’s going to be your wreath. Once I had everything ready I was able to put both of them together in a little over 30 minutes. No bad considering I had made two wreaths! Also not bad? The price for these! I spent a total of under $10 for everything I needed for both wreaths. 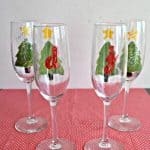 These would be a wonderful gift for a child’s teacher or for a teacher in the family. I ended up making one for myself and gave the other one to my instructional assistant for Christmas this past year. 1. Place the 8″ hoop inside the 12″ hoop making sure there is equal spacing the entire way around the hoop. 2. 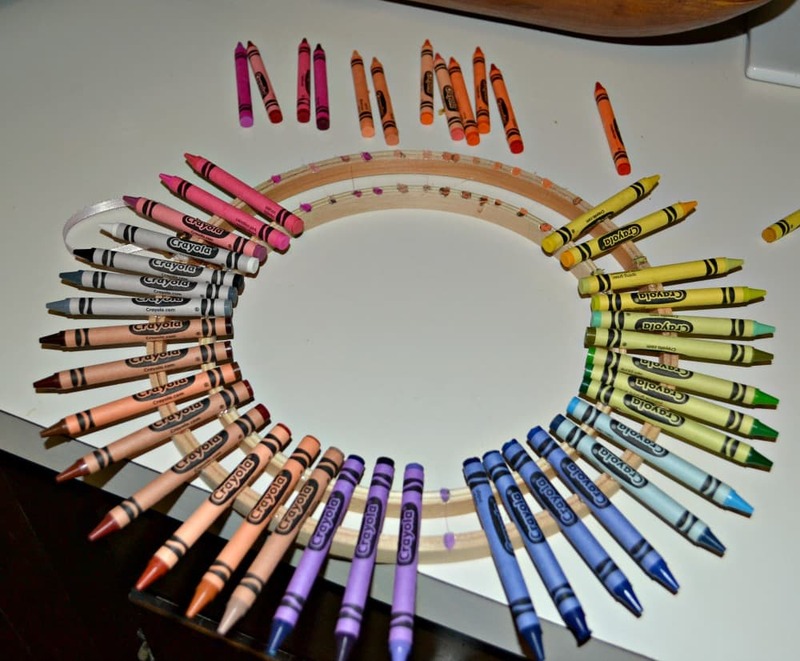 Arrange the crayons by color and then lay them around the outside of the hoops. You are going to glue 4 crayons to help you space the rest out. Start with the crayon at the top of the hoop. Carefully glue it to both the 8″ and 12″ hoops. Next, go to the bottom crayon. Make sure to count the crayons and get the one that is 32 crayons away. Carefully glue it to both the 8″ and 12″ hoops. This should hold your hoops in place. 3. Next glue on one crayon on the right side and one on the left. You will have crayons on the hoops pointing at 12, 3, 6, and 9 (If the hoops were a clock). 4. Now carefully glue on the crayons that go between the first two crayons. Then do the next section. Continue on until you have finished. Allow to sit for 15 minutes. 5. Flip the wreath over. 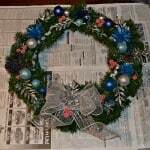 Take two pieces of ribbon and glue them both at the top of the wreath on the back. This will be your loop hanger. Make sure the pieces are the same length so that they will hold equal weight. 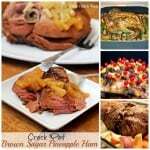 Glue into place and allow to cool 2-3 minutes. 6. Flip the wreath back to the front. Take another piece of ribbon and tie it into a bow. Glue it either at the top or bottom. 7. Allow the wreath to sit for 15 minutes before picking it up. Once I picked mine up 2 crayons fell off so I was able to glue them back on before giving my wreath as a present and hanging the other one in my room.